Designed specifically to suspend the Dispill® packages. 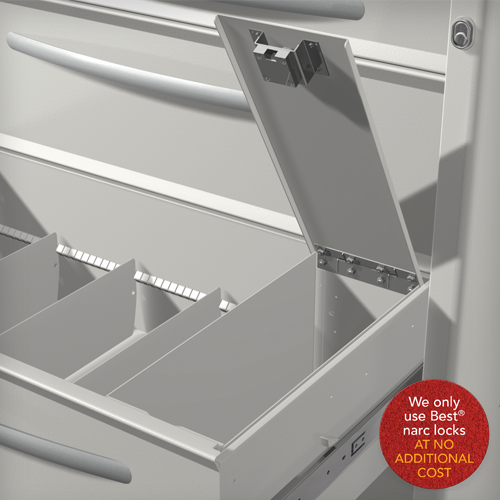 The narc drawer is available on the XL and low-profile LG frames. Standard 6”x 9” Punch Card. Narc lock upgraded to the exchangeable core lock at no additional cost. The divider removes for Medicine On Time®. Add two optional dividers for four rows of 3” wide punch-cards. Narc lock upgraded to the exchangeable core lock at no additional cost. 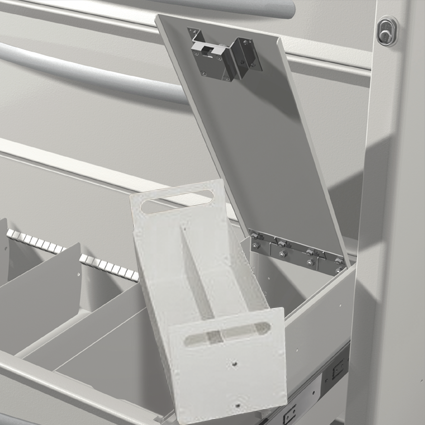 The slightly wider Global is the only box that accepts the Narc Box Insert. 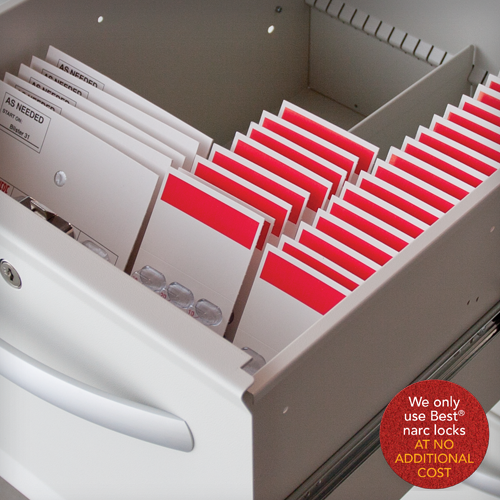 It is equipped with a (removable) divider to create two rows of 3” wide punch-cards. 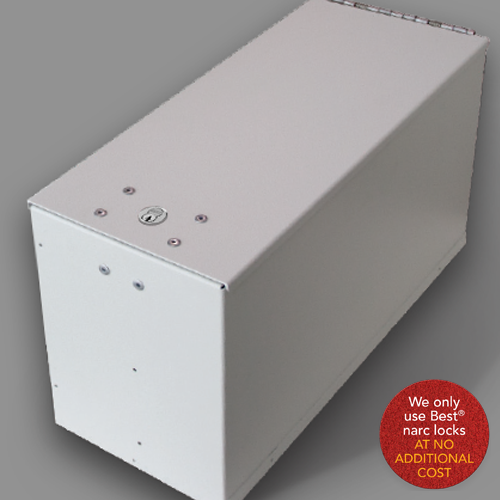 Narc lock upgraded to the exchangeable core lock at no additional cost. 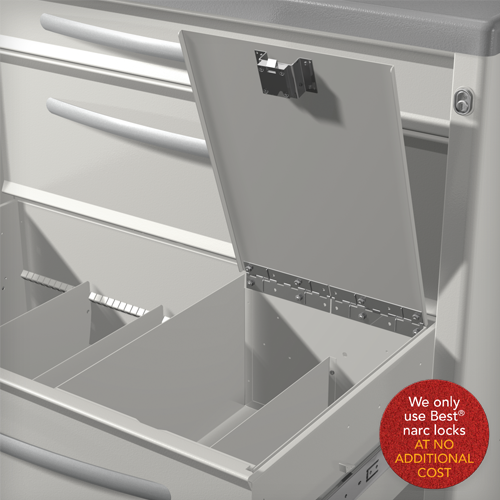 The removable tray allows for shift-end inventory audits and dispensing at a comfortable tabletop level. The insert is only accepted in the Global narc box.